So far, listening to the Pitchfork 500 list has been great fun. In each group of four to eight songs, there have always been personal favourites that I love to talk about, or songs I’ve never heard before and loved, and some songs that I’d forgotten were so good. Sure, there’s been some duffers, but that’s in the nature of a list like this. But this next part, I’ve got to say, was something of a chore. First off is The Go-Go’s. This is the band that brought Belinda Carlisle her first taste of success, and for the most part, you can see why with this song. Funnily enough, I think it’s the first time I’d heard the original rather than the Fun Boy Three version. Mind you, as Terry Hall co-wrote the song and was a founding member of Fun Boy Three, does that still make it a cover? See? Fun Boy Three is definitely the superior. Mariah Carey TV on MUZU. Written by Tina Weymouth and Chris Frantz of Talking Heads whilst David Byrne was off with Brian Eno, it managed to be a bigger hit than anything Talking Heads had so far released, showing Byrne that he wasn’t the only influential songwriter who liked exploring the boundaries of modern pop. Hugely influential, it’s been sampled by world + dog. And Mariah Carey. I’m now feeling guilty that I prefer the Mariah Carey version. What I am becoming? We all know Prince is a genius. A superb musician, blessed with stamina, finesse, and more funk in his little finger than most of us have in our entire bodies, he’s also guilty of churning out album after album of tedious funk-pop, when he could be writing more songs like “Alphabet Street” and “1999”. “Dirty Mind” is a bit of a funny choice, as it showcases his tedious funk-pop rather than the pop genius that has made him such a huge success. And I’ve tried it a few times but it just ain’t got that swing. I can’t even find a YouTube video of it. Not going to be one of those days, is it? And the less I say about Daryl Hall & John Oates’s “I Can’t Go for That (No Can Do)” the better, I suspect. This sort of song makes me wish bad things on everyone involved. It’s a horrid, vapid, pointless waste of time. Why is it on this list? Why? WHY??? Just listening to it again. And read what Pitchfork had to say. Somehow I doubt it really influenced the next song that much. As Wilco once said, I can’t stand it. Ok, the middle eight bit is passable, I suppose. Thank God for Michael Jackson for having the only sure-fire absolute classic of the five. 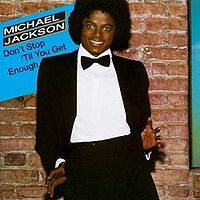 As I mentioned on the first Jackson song on the list (Don’t Stop ‘Til You Get Enough), when you forget about all his later troubles, you remember what a fantastic musician he was, and how well he worked with Quincy Jones. What struck me, listening to this again, was the sense of space in the song. There’s nothing extra, no slack, and the ambiguous sense of both disbelief at the situation, and the underlying guilt, hardly hidden from view, adds to the palpable tension. It’s just a fantastic record, and nothing more needs to be said about it. If you don’t like “Billie Jean”, you don’t like music. That’s all for this, rather short and inconclusive Pitchfork post. It gets better next time, honest.